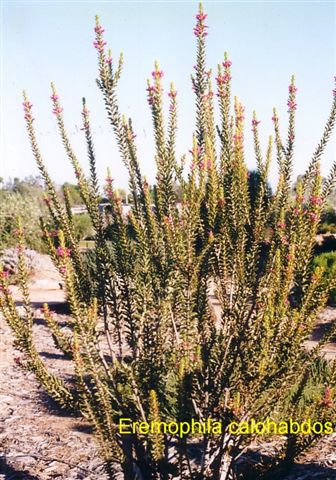 Slender shrub, but will become bushier with pruning. Flowers profusely mostly in the summer months, dark pink tubular flowers which attract Hummingbirds. Excellent for hot dry arid sites. Tolerates reflected heat against a wall or fence. Good cut flower. Propagates readily from cuttings.